In the midst of finalizing celebrations or prepping traditional Thanksgiving feasts, many Tucsonans are also strategizing for the biggest shopping weekend of the year. Local nonprofits offer options to keep the “giving” going while making the most of Black Friday, Small Business Saturday and Cyber Monday. Youth On Their Own makes it easy and convenient to gift homeless and near-homeless middle school and high school students: All it takes is a $20 gift card or a blanket. 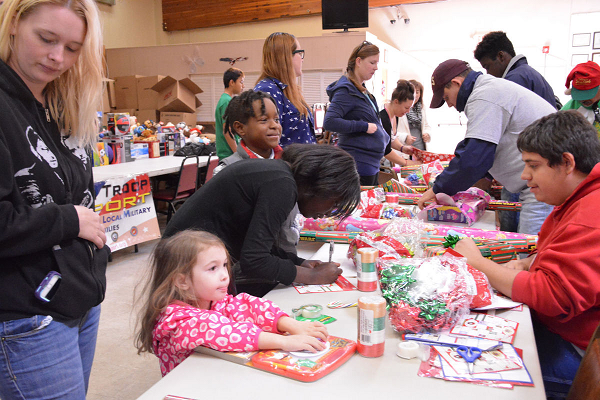 For years, the organization has sponsored a holiday drive for gift cards. It expanded the effort this year with the “Spread the Warmth” appeal in hopes of providing more than 1,100 students with blankets as well.